At Thursday’s Google I/O keynote, VP of engineering Vic Gundotra repeatedly ripped into Apple, and he did it right off the bat. The video above, which just came out, shows the first ten minutes of his keynote where he discusses why the world needs Android. But that is not the interesting part. The interesting part is where he goes after Apple in a not too subtle way. 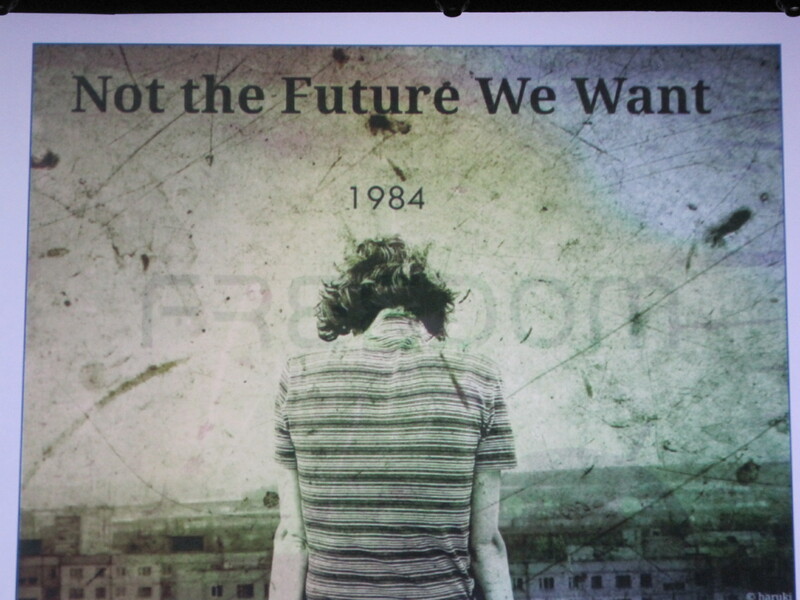 He extols the virtues of an open platform and contrasts it with a “Draconian future, a future where one man, one company, one device, one carrier would be our only choice.” Then he shows a poster of 1984, with the title, “Not The Future We Want.” The reference is to Apple and the iPhone. Gundotra uses Apple’s own iconic 1984 imagery against it to great effect right at about 3 minutes into the video clip. I can’t wait for Gundotra to appear next week at TechCrunch Disrupt, where we can ask him why he thinks Android will prevail, not only phones but also now in TVs.